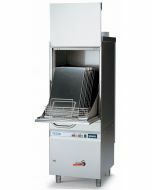 Extra-large free standing, front-loading utensil washer with 1320 x 700mm rack size. 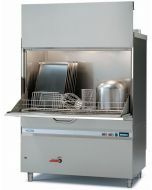 Able to accept the largest of items. 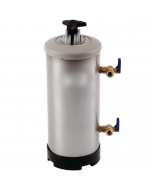 Intensive 2, 4 and 6-minute wash cycles, complete with two high powered wash pumps, type A air gap, double skinned insulation and gravity drain as standard. 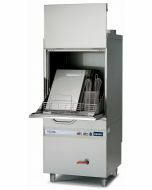 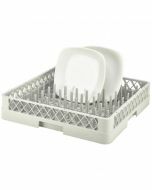 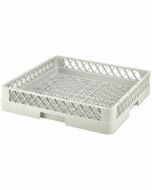 The Classeq VISO range of utensil washers are designed specifically for washing all manner of sizes of pots and kitchen utensils in a commercial environment, including bakery trays and tote boxes. 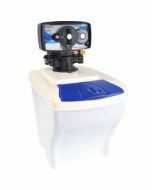 Featuring extra powerful self-draining wash pumps, these machines can remove even the most stubborn of soiling. 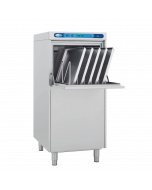 Double skin insulation, cantilevered opening doors and a choice of wash cycles make the entire Classeq VISIO range a safe, simple and easy to use utensil washing option. 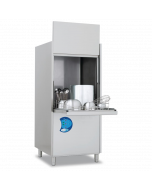 All machines are fully WRAS approved to ensure compliance with water board regulation for commercial dishwashing. Supplied with waste and water hoses for UK fitting. 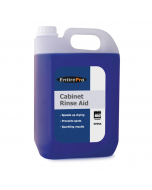 Integral detergent and rinse aid dispensers are available on request. 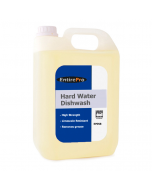 An optional water softener should be installed in hard water areas to prevent lime scale build up that could be harmful to wash results and machine longevity.